One Superhero required, apply within. | NUFC Blog. One Superhero required, apply within. Howay Superman, we need you! Superman, Batman, Spiderman all superheroes to a man. But will we find ours? 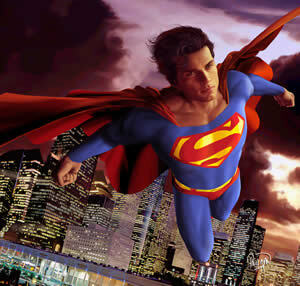 Out of the alleged 4 groups currently undergoing due diligence, will there be a Clark Kent to come and save us? Or will he just fly right on out of toon after seeing the state we’re in? But what if the worst case scenario happens and after seeing the books no-one is prepared to buy at the current valuation and Mike Ashley refuses to accept the price they are willing to pay? Now that’s not a scenario any of us want to envisage but what if that’s the outcome? What happens next? With the club due to dish out £10m in loyalty payments to the players before the 30th June, and staged transfer payments of £29.2m allegedly due for 10 players we have purchased over the last several years, Mike Ashley must rue the day he ever thought of buying a football club for a bit of fun! But it gets worse. With a wage bill currently 75% of turnover which will reduce when Owen, Viduka etc leave, but which will remain unsustainable for a championship team with revenues dropping like a stone due to the reduction in TV money from £37.2m last year to £12m for next season; the situation doesn’t look too rosy. Revenue is further impacted negatively as season ticket prices reduced by an average of 9%, even with 4 more matches to be played next season, player image right costs of £6.2m per year, players on long and costly contracts who may try and sit tight as no-one else will buy them with their current wages, or can afford them if they go on loan. What would Ashley do then? So while we think it’s bad now, it could get a whole lot worse. No, it’s a middle east consortium, laden with their millions and intent on making Newcastle hugely successful. Personally, I think we need to try and get out of this mindset that a saviour is going to ride into the club with sackfuls of cash and save us with a quick fix. We need to get our heads out of the clouds and realise that the club has been trying the quick fix approach since 1998. It doesn’t work. We need to be demolished and build back from the foundations upwards. It will be a slow process, but it will give us the stability we need. I’ve been saying that we will bounce straight back up this season. We still might, but if we are really going to do this right we need a season of building stability, a season of growth and then a final push to promotion. MT – my comment was tongue-in-cheek, which I’m sure you gathered. Being a down-trodden 30-something and growing up with grim football, I’d quite happily settle for the club getting some soul and some pride back. And for it to have a genuine belonging again. At least for now anyway. If we happen to gradually progress into a successful outfit then that’ll be a canny bonus. I’d just like supporting Newcastle not to be such an invariable pain in the ar*e, constantly defending, justifying or just talking about the mistakes and misdemeanours by players and board alike. Let’s get the love back. If that means mediocrity for a little while, then so be it. BBM – I’m the same. I can’t remember the last time I was really proud to be associated with NUFC. Perhaps there isn’t a space for old romantics in the stands/seats anymore and we have to accept that it’s a money game with no soul and the only way forward is to be another Chelsea. Personally I don’t want us to be a brand like ManU, Chelsea, Real Madrid. I want us to be a football club. Micky to be honest I agree with you. I’m not really bothered who comes in as long as it’s not the scrapman plus his cronies or some toe rag just wanting to make a quick buck and dump us in a year or two. Why can’t we find a Clark Kent – predictable, steady who will quietly go about a rebuilding job with a long term plan, the vision to carry it out, who will ignore the screams from the fans at the first sign of a poor performance, who will communicate, back the manager over the long term, surround themselves with the knowledgeable people who have the skillset to run a football club etc. Surely that’s how normal clubs are run? Loving the Blog shop – already spotted a couple of things to buy! Thanks Deb. Things are getting there, slowly. I hope the same is true of this bloody sale! Apologies for the little period offline there folks.